Information: This is a light version. If you like this app and to unlock all functions get the pro version, please. Thank you! With this floating music player you can easily switch between songs. Just swipe or shake the music control in and turn on your favorite song. With another services you can activate meta informations or the quick control notification. 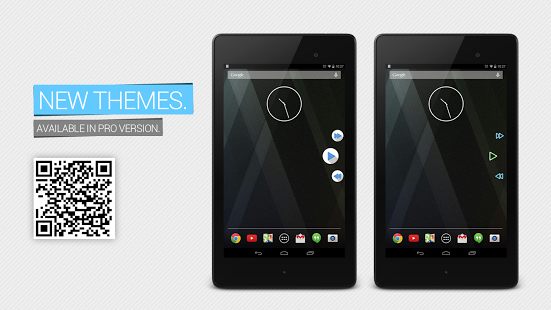 You also can choose between themes or layout. And sooo much more. Just try it out. Why this player and not via status bar? – It is just looking awesome! This app is made for gaming. It is just awesome and easy to switch between songs ingame without pause the game. With the shake gesture you can let the player show / hide and with one click you can turn on the next song while you are fighting f.e. agains zombies. Questions, Bugs, Suggestions or feedback?